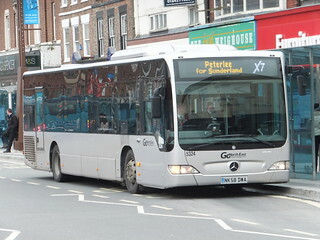 Following the completion of the roadworks on the Norham Road bridge, and the resultant decrease in peak vehicle requirement on the "Cobalt Clipper" 309/310 services, this vehicle has transferred from Percy Main Depot to Chester-le-Street. 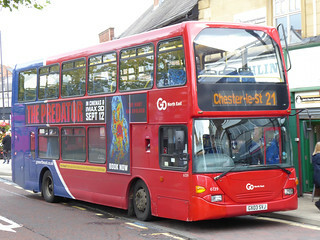 Following temporary loan to Chester-le-Street Depot, this vehicle has now returned to service at Percy Main. 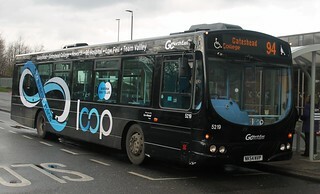 This vehicle has been treated to a partial repaint into Go North East's new corporate livery. 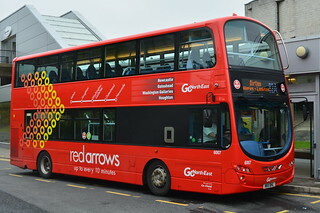 The new livery design is a a lot more eye-catching and features a two-tone base livery, with the traditional key colour of red towards the front of the bus, and non-metallic dark blue towards the back. 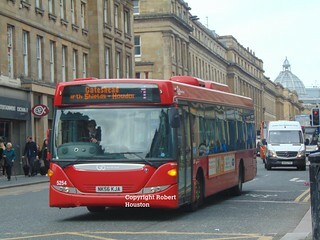 This example carries the tagline "No change? 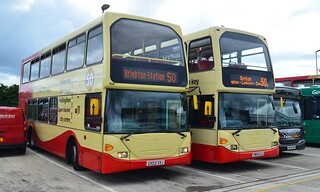 | Get your bus ticket on your phone with our mobile app"
Following the last batch delivered in June 2016, Go North East has acquired five further Scania N94UD/East Lancs OmniDekka vehicles from sister Go-Ahead operating company Brighton & Hove, following the entry into service of brand new Wright StreetDeck vehicles on Brighton & Hove's 1 service. 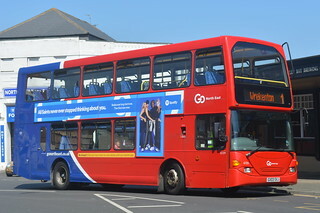 This vehicle, previously numbered previously numbered 603 within the Brighton & Hove fleet, has now arrived at Riverside Depot. 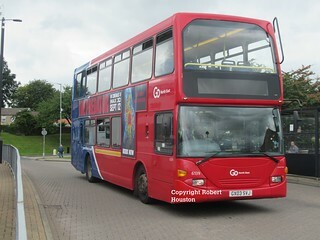 It will undergo preparation for service within the Go North East fleet at Saltmeadows Road Depot.